Catch up on everything that went down at the 2017 CakePHP Conference. The annual CakeFest conference is upon us again. A lot of people are excited about the various talks that are lined up. You can find the schedule on the CakeFest website, where all the talks are listed. In today's article, I'll recap all the talks that happened and the announcements coming out of CakeFest 2017. Larry Masters opened the conference with his keynote. 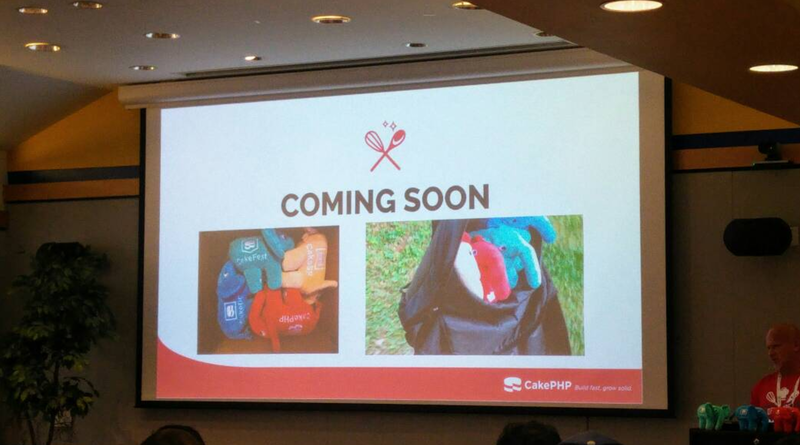 Larry announced CakePHP's support for @OSMIhelp and talked about the CakePHP elePHPants that would be available soon for PHP developers to buy. Developers can now buy CakePHP swag from the Official CakePHP Swag Shop. Legendary Ed Finkler talked about Mental Health in the Developer Community. He spoke against encouraging workaholism. He talked about health issues in the work place and encouraged companies to help their employees maintain work life balance. The healthier an employee, the greater the value he or she brings to the company. You can check out his OSMI project and contribute to the cause. Stefan van Gastel - Technical Lead, Mobile Apps Military Police at Dutch Ministry of Defence talked about CakePHP in a containerized (CI/CD) environment. He spoke on the benefits of managing your apps in containers. He also gave a detailed breakdown of how it works at the Dutch Ministry of Defence. Jeff Kolesnikowicz talked about Realtime PHP using Websockets. He explained the realtime architecture and showed a live demo about implementing realtime using websockets. Ed Barnard: Ed has been a programmer for over three decades. He talked about CakePHP Prepared Statements Ease MySQL Table Design. In my opinion, this was the most technical session of the conference. He talked about optimizing MySQL, writing great queries, utilizing prepared statements, and general database design. Jose Gonzalez: Jose is a CakePHP core contributor. He talked about Open Source Infrastructure. He informed the audience about how the opensourceCakePHP build process is set up, and how he automates everything in a way that newbies can get along really well. Sharon Steed: Sharon gave a talk on Building powerful relationships by communicating with empathy. She's a stutterer and used herself as an example in many of the use cases she gave about relationships and community. Day 1 ended with some lightning talks. Are you building a product with PHP? We at Auth0, can help you focus on what matters the most to you, the special features of your product. Auth0 can help you make your product secure with state-of-the-art features like passwordless, breached password surveillance, and multifactor authentication. Day 1 of CakeFest was awesome. The sessions were great and the attendees really connected well. To conclude, if you are new to CakePHP, check out this excellent tutorial that introduces you to the framework and teaches you how to create your first app and add authentication to it.